Miles on the MBTA: Why does the Kingston/Plymouth Line have split termini? Why does the Kingston/Plymouth Line have split termini? This is the kind of thing I feel I need to rant about in its own separate post, because this really bothers me. So what's the deal here? 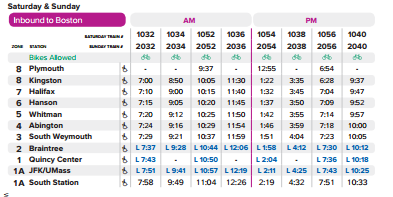 Well, we're discussing the Kingston/Plymouth Line of the Commuter Rail, one of the newest additions to the system. 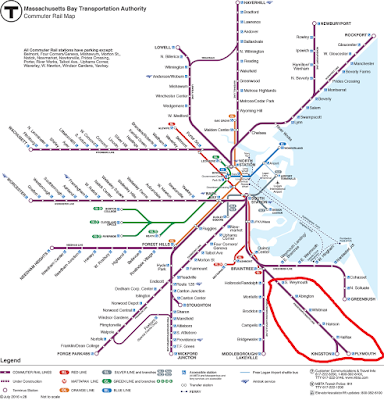 Completed in 1997, the line runs down to the southeastern portion of Massachusetts. 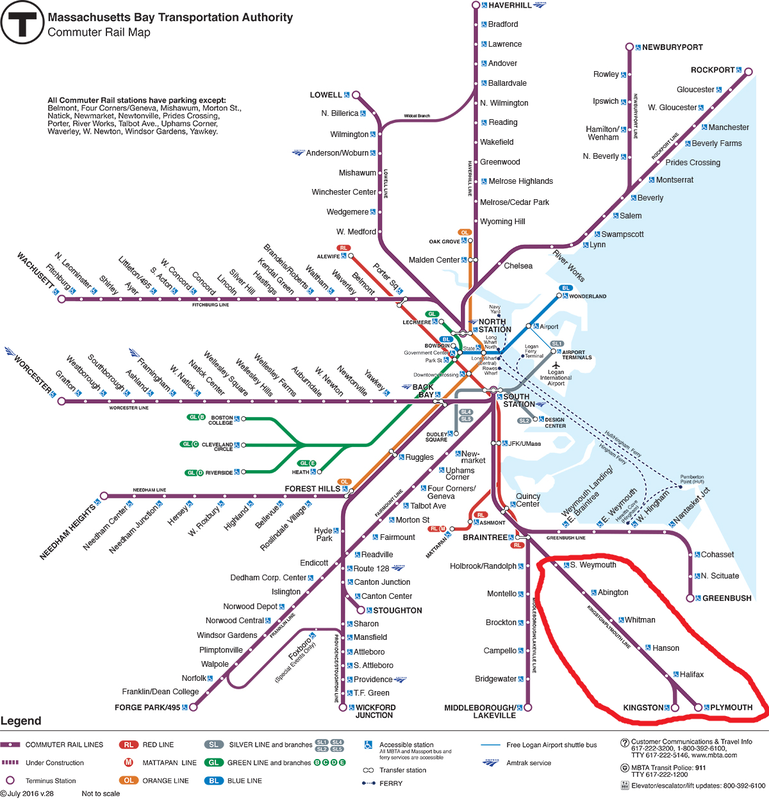 The MBTA map, with the Plymouth Line beautifully circled in red. Thanks, Microsoft Paint! As a kid, I thought that Kingston and Plymouth were separate lines and both got full service, but of course that's not true. That said, the setup used isn't any less strange. All stops are shared up until the tail end of the line, where it splits to serve Kingston, a park-and-ride station in the middle of nowhere, and Plymouth, an industrial station in the middle of nowhere. No train runs to downtown Plymouth - remember this. Okay, so here's the line's schedule on weekdays. 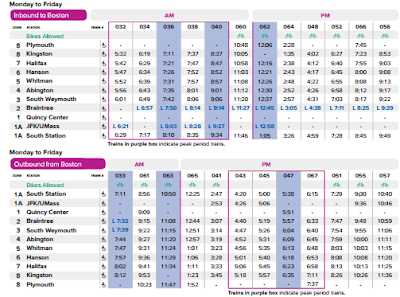 Note that Plymouth is basically never served in the rush hours - trains go to Kingston only during those times. This means that Plymouth gets absolutely terrible ridership, making the station a waste, anyway! A train going beyond Plymouth, only to change directions and drop its passengers off at Kingston. So why does this arrangement exist? Honestly, I have no idea. Kingston is the one with the big parking lot that gets a bunch of trains, while Plymouth is just...there. I mean, if it was actually in downtown Plymouth, I could see why the split exists, but no, it's a long shot away. Honestly, I think it's time to retire Plymouth and send all trains to Kingston. 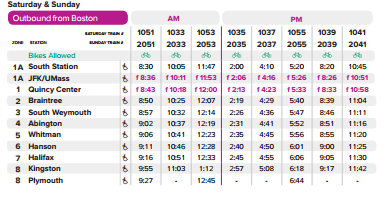 It'll save time, and since most people are driving to get to the train, it won't add that much time to people's commutes. End this stupid split!